Members make a BIG difference! With your annual membership contribution, you directly help the Museum to fulfill our Mission and Vision and make events like History Comes Alive, DINO DAYS, Evening of Texana and other events possible. You will be taken to a secure payment page after submitting this form. Please enter your credit card information on that page to complete your purchase. * Tuesdays open by prior appointment only. 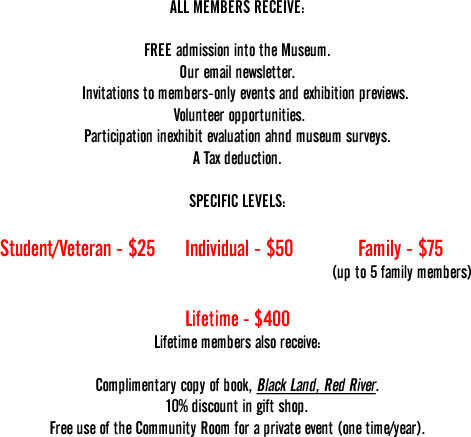 The Sherman Museum is a 501(c)3 educational organization. Your gifts are 100% tax deductible to the full extent of the law. Copyright © 2018 Sherman Museum. All Rights Reserved.